Commitment to the craft: Most of the successful sellers on Etsy are artists, designers, and curators. They love, breathe and breed what they do. These people are committed to what they do wholeheartedly. 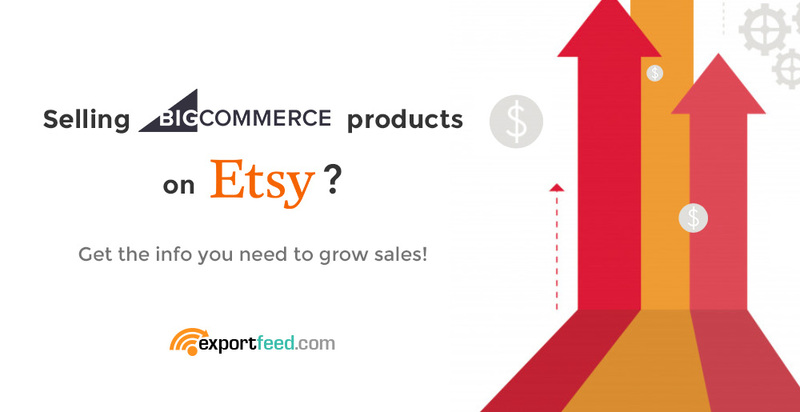 Etsy is guided by the same principle and focuses on increasing the sales of your products. If you are selling designs, make sure that your designs are up to the benchmark. Minimized waste: Etsy focuses on utilizing resources optimally and reducing waste. They’ve considered time and energy as a precious resource so make sure to send only those BigCommerce products to Etsy which will make a huge impact. Even you wouldn’t like it if you get a lot of visitors on your products but no sales so won’t you accept this principle that Etsy follows? Embrace differences: By the core USP of this marketplace itself, you would want to list the unique product, which clearly sets as embracing differences. If you are able to provide a different type of products to the Etsy marketplace, they will embrace them and you’ll also be able to achieve higher sales results. Not just different products, one sure way to increase your sales on Etsy is to create a different deal than your competitors are offering. Dig deeper: We recommend you to sell your BigCommerce products on Etsy marketplace despite the fact that we’ve also heard about sellers being disapproved to sell on this marketplace. Why? Because Etsy digs deeper, on your products and on your business. If you’re ordering mass manufactured product and listing them as handmade, that’s not what Etsy wants. This is a marketplace that wants to serve genuine products to the customers and expects the sellers to be genuine as well. Lead with optimism: Etsy connects the shop owners with the buyers to create a balance in demand and supply. But while doing so, it takes care of the sellers by ensuring that buyers are genuine. It also takes care of the buyers by ensuring that the products that sellers sell are up to the mark and genuine. For both these parties, Etsy provides necessary support to meet their best interest and helps both parties grow. Etsy allows up to 13 product tags so while sending your BigCommerce products on Etsy, make sure that you benefit from these tags. You’ll need images over 50px in size to make a successful listing on Etsy so make sure to upload high-quality images on your BigCommerce store. You have the option to include up to 9 images of a single product on Etsy so don’t leave out any images that could boost conversions. Your product title and description are equally important and if you want, you can even hire a copywriter to enhance the impact of your product listing to improve sales on Etsy. Make sure that you are listing your products on the appropriate Etsy product category without leaving out the necessary values. The more products you list on Etsy, the more chances of getting more sales revenues; so don’t hesitate to experiment a bit and upload bulk BigCommerce products to Etsy marketplace.